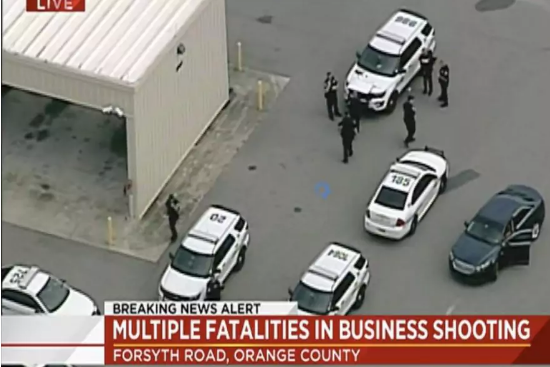 4 died this morning after a gunman opened fire on workers in an industrial area on Forsyth Road in Orlando Florida. 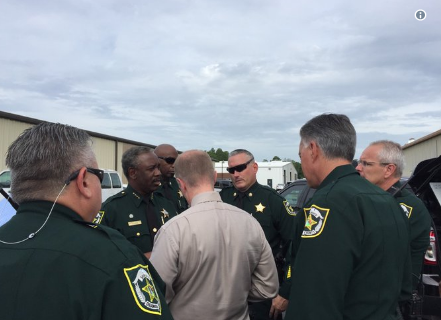 The gunman killed 4 persons before police opened fire on him. A woman whose sister was in a lavatory inside the building at the time spoke to reporters at the time. She said her sister had emerged after hearing gunshots to see a body on the ground. Police officers could be seen gathered in a car park beside warehouses. Agents from the Federal Bureau of Investigation are also at the scene. May God have mercy and protect us all.